If you enjoy curling up by the fireside with a seasonal mystery, you might like to try our Inspector Abbs novella A Christmas Malice. Set in 1873 during a Victorian country Christmas in Norfolk, our introspective sleuth has a dark puzzle to be solved. Several readers have asked if the setting is based on a real Norfolk village. Aylmer is completely fictional though the descriptions of the railway line across the empty Fens, an ancient flint church and carrstone cottages fit the real area of beautiful West Norfolk. The towns of King’s Lynn and Hunstanton featured are described as befits their fascinating history. In the way of any large British county, there are several Norfolks. The saltmarshes, the Broads and the Brecks, to name just three areas are very different from one another. Our story is set on the edge of another, the Norfolk Fens or Fenland. Norfolk is famed for its spectacular wide skies where a fairly flat landscape allows the traveller to see long vistas for miles in every direction. We use fairly advisedly because Norfolk isn’t as pancake flat as is often said. Much of the landscape has gentle undulations and many a fetching slope topped with an old copse or church tower. On the western edge of the county the Fens (a local word meaning marshland) reach into Norfolk, though their greater part lies in Lincolnshire, Cambridgeshire and the lost county of Huntingdonshire. Flat, few trees, remote and haunting. An empty landscape of long, straight rivers and dykes. Historically a land of windmills, pumping houses, wildfowling and eels. A place of refuge for monks and rebels, the most famous being Hereward the Wake. Cromwell too was a Fenlander. Artificially drained by Dutchmen in the 17th century, the Fens are the lowest-lying land in England and have some of the most fertile soil. Border places are intriguing, having a face in two directions. A Christmas Maliceis set in a village with the Fens starting at its back and a more pastoral landscape on the other side towards the North Sea, then known as the German Ocean. Our Inspector Josiah Abbs is a Norfolk man, living in Devon when the story begins. He comes to spend Christmas with his widowed sister Hetty. Although they grew up on an estate where their father was head gardener, this lonely part of the county is unknown to him. Abbs has only a few days to resolve the mystery, preferably without ruining his sister’s Christmas. It was an interesting challenge to write a novella-length story (33,000 words) where our detective is alone, without the help of his sergeant or the resources of his county force. Fortunately he does find an ally in the village policeman. Inspector Abbs and Sergeant Reeve formed an unlikely partnership in our novel A Seaside Mourning, set in Devon in 1873. A Scandal in Bohemia was the very first Sherlock Holmes short story, published in the July issue of The Strand Magazine in 1891 and collected in The Adventures of Sherlock Holmes the following year. Holmes and Watson had made their first appearance in the longer stories A Study in Scarlet in 1887, and re-appeared in The Sign of Four (The Sign of the Four) in 1890. Neither of those two outings were particularly successful until the short stories took off in the Strand. As a short story it is important because it presents a number of the tropes which become familiar to readers of the canon in subsequent stories – the initial consultation in Baker Street, the hospitality of Holmes’ housekeeper (though, presumably through error, she’s called Mrs Turner rather than Mrs Hudson in this story), the friendship of Holmes and Watson, the very characterful client – in this case the King of Bohemia, Holmes’ use of disguise, and the emotional coldness of the detective’s character. It also features the character of the opera singer and courtesan Irene Adler who, although she only actually appears in this one tale and rates only brief mentions in several more, casts her shadow over the canon. For, as the opening line of the story tells us “To Sherlock Holmes she is always the woman.” As Watson points out, there are no feelings of romantic or sexual love in that comment. Holmes is asexual in every sense of the word and I get a bit peeved when modern re-interpreters try to imply otherwise. And just as well – Holmes with romantic feelings simply wouldn’t be Holmes. Several candidates have been put forward as possible inspirations for the King of Bohemia, including the then Prince of Wales, later King Edward VII – who certainly led a Bohemian lifestyle – and the Crown Prince of Germany, later Kaiser Wilhelm II. The plot is basically very simple – you might care to read the story again before you read further here. Irene Adler was the mistress of the King of Bohemia when he was still the crown prince. She has in her possession a compromising photograph and letters produced during their liaison. The King is now engaged to marry a princess from Scandinavia,who comes from a particularly puritanical family. 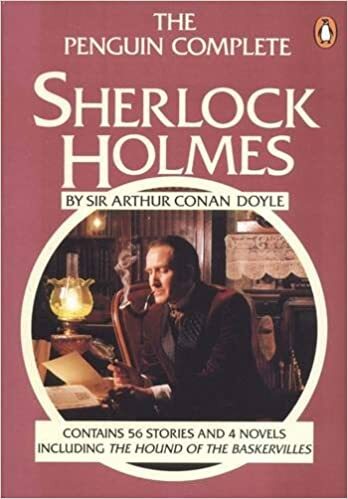 Believing that Irene is obsessed with him, he fears that Irene Adler might use the photograph and letters for her own ends, which could undermine the settled order of the European monarchies, he commissions Holmes to recover the items. Interestingly, he is prepared to pay Holmes a considerable amount of money for his services and provides a handsome advance. A reminder that Sherlock views his role as a consulting detective as a profession. Elsewhere, in The Problem of Thor Bridge, Holmes categorically states that “my professional charges are upon a fixed scale. I do not vary them, save when I remit them altogether”. Which isn’t quite what happens in A Scandal of Bohemia. The joy of the piece, for me, is the portrayal of Irene Adler. We get our first intimations of her character from Holmes’ notebooks, which portrays her professional character, and then from the King who describes her as “an adventuress”. Given the King’s predilections in the same directions, there is considerable hypocrisy there, though it is of course the sentiments of the time. As it turns out, Irene Adler has moral scruples that the King of Bohemia could probably never imagine. At the end of the story she acts with a morality and sense of fair play which makes her a much worthier person than the wretched and dissolute monarch. Furthermore, she is a worthy opponent for Holmes, and shows him a respect equal to the regard the detective comes to have for her. She is never the villain of this piece – only its heroine. I’ve always been impressed by the Granada television version of the tale, starring Jeremy Brett – the first in the series to be broadcast, though not actually the first one filmed. (They filmed The Solitary Cyclist first as as shakedown episode). David Burke was a very fine Watson and Gayle Hunnicutt a superb Irene Adler. 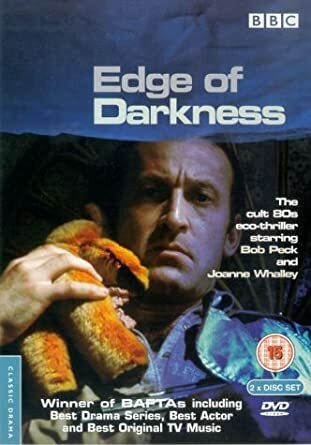 We’ve recently been watching the award-winning 1985 BBC television serial Edge of Darkness, starring Bob Peck and Joe Don Baker, and scripted by Troy Kennedy Martin. We hadn’t watched this groundbreaking programme since it was first broadcast in the turbulent times of the Thatcher administration (legend has it that the Iron Lady wanted it banned), and were interested in how it would stand up, both as an entertaining drama and as a piece of political polemic. Troy Kennedy Martin was very well known as a television scriptwriter at the time, but Edge of Darkness is his masterpiece. He originally wanted to write a series about a number of issues affecting Britain at the time, including the Greenham Common protests, the Miners’ Strike and the Falklands War, and also had thoughts about “a detective who changes into a tree”, but influenced by James Lovelock’s Gaia hypothesis and the secret world of the British nuclear power industry, wrote this gripping political thriller instead. Police detective Ronald Craven (Bob Peck) witnesses the murder of his daughter Emma (Joanne Whalley), who is brought down by a gunman on the steps of their home. The police think it a botched attempt by a criminal on his life, but it soon becomes clear that Emma was always the intended victim. Craven decides on a maverick investigation into her death and finds that she was connected to an anti-nuclear group called Gaia. He finds a gun and Geiger Counter among her possessions. Pendleton (Charles Kay), a civil servant attached to the Prime Minister’s office and his associate Harcourt – a great performance by Ian McNeice, tell Craven that his daughter was a terrorist, wanted by the state. It becomes clear that there was a considerable conflict between Gaia and the British Establishment over the nuclear issue. As is usual with the British powers-that-be, they would like the whole issue of Emma’s death to go quiet. Emma and her associates have entered a nuclear facility called Northmoor, where illegal Plutonium might be being produced. Emma’s body is found to be radioactive. That’s the set-up and as much of the plot as I’m going to give away, for this is the conspiracy thriller to beat all conspiracy thrillers and I commend it to you. This is a well-written series with some great character development. Bob Peck handles Craven’s grief at the death of his daughter in a way that is deeply touching, and his quest to solve the mystery of her murder is both logically and movingly portrayed. Joe Don Baker (who loved the script so much he took a lower fee than usual to be in it) gives a scene-stealing performance as CIA agent Jedburgh, who becomes a crusader for the cause of humanity along the way. The series was directed by Martin Campbell (also responsible for the inferior film remake starring Mel Gibson) and is probably one of the best directed and beautifully photographed series of the past forty years. There is a stunning and atmospheric musical score by Eric Clapton and Michael Kamen. The acting is superb, a truly great performance by Bob Peck (who died so tragically young) and a scene-stealing act from Joe Don Baker as the CIA man Jedburgh. Even the small roles stand out – the cream of British acting talent. As a thriller Edge of Darkness is quite stunning, not only asking the questions we should all be asking, but as with all conspiracy stories really questioning the motives of the people who are in power over us. The thrills come thick and fast, real edge of the seat stuff, particularly some beautifully shot underground sequences as Craven and Jedburgh invade the nuclear facility of Northmoor. The series thoroughly deserved the many awards it won. It has worn well over the past thirty years and is an instructive reminder of state corruption that seems particularly relevant to the times we live in. 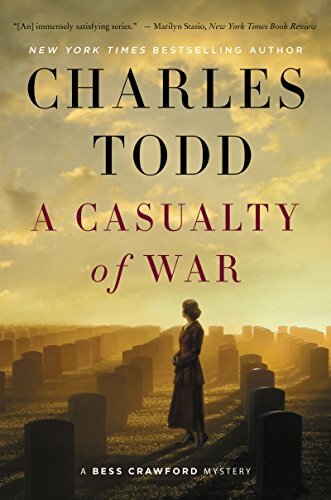 A review to mark Armistice Day, A Casualty of War is the latest book in American authors Charles Todd’s Bess Crawford series. Charles Todd novels are written jointly by Caroline and Charles Todd, who are mother and son. The series begins in 1916, immersing readers in the Great War, where Bess, a Sister in Queen Alexandra’s Imperial Military Nursing Service, is posted to casualty clearing stations at the Front. A Casualty of War is the ninth title in the series. The novel begins in the last few days of war, where the authors dwell at length on the destroyed landscape and the worn-out emotions of those trying to stem the tide of the dying. I had the impression that the authors were lingering as they came to the end of several years in their writing lives, recreating the horror and chaos of the First World War. Knowing this was their last time of conveying the enormity of it all to their readers. They do a very fine job. The depiction is almost as vivid as in Vera Brittain’s legendary Testament of Youth, memoir of her experiences as a V.A.D in France. Bess Crawford is a highly experienced, young nursing sister, dedicated to her cause. She and her colleagues are moving from shelled villages to devastated buildings, such as the crypt of a ruined church. Anywhere they can set up temporary camp. Even the birds are gone, trees and orchards cut down, livestock slaughtered and the retreating German army have left deadly booby-traps in their wake. The medical personnel are beyond exhausted, their weariness of course, as much mental as physical. They can hardly believe the increasing rumours from the base hospital that the war is coming to a close. As the British army advance, they are treating German prisoners as well as Allied soldiers. Men are dying, limbs shattered beyond repair. They’ve so nearly made it through but the tragedy goes on to the very last minute. The Todds evoke the relentlessness and anguish with a superb sense of place. They write literary detective novels which sets them apart from many peers. I really liked the way they described the moment of ceasefire with its feeling of anti-climax. (My aunt was a W.A.A.F in the Second World War and she remembered V.E. Day on an R.A.F base in much the same way). Like most series, these titles can be enjoyed in any order, though they’re deeper for knowing Bess’s back-story and regular characters. Her father Colonel Crawford plays a significant part in this one. Bess is a sympathetic character, intelligent, kind, with a strong sense of moral duty to her charges. A Casualty Of War has a terrific plot. They all begin by Bess getting involved in a mystery involving one of her patients – of necessity, including some leave in England – but they’re not formulaic. The Todds are extremely good at thinking up intriguing scenarios, often with an unusual motive – always a bonus in detective fiction. This time, Bess is on a fortnight’s leave after the Armistice, before returning to France. She’s desperate to help an army captain from Barbados whom she met and later treated at the Front. He’s adamant that another British officer twice tried to murder him. Claims which lead him to be detained in a clinic for shell-shock injuries, where his sanity is in jeopardy. Bess Crawford’s determination to solve the mystery takes her and an old family friend – a resourceful Sergeant-Major – to a Suffolk village, home of the captain’s distant relatives. The Todds are very good at creating believable characters and conveying a disturbing atmosphere of suspicion and hostility. They take a lot of trouble to describe attractive English villages with their hierarchical society largely as they would have been. This story, beyond the murder mystery, is about pain and loss. It’s a snapshot of Britain with the Great War just over and almost every village mourning their dead. They write movingly of the temporary wooden memorial on the village green with the men’s names added haphazardly as their deaths were confirmed. I really like Caroline and Charles Todd’s writing and always enjoy their other series featuring Inspector Rutledge of Scotland Yard, set just after the Great War. My only caveat is their repeated use of American terms which jerk a British reader out of their fictional world. Their mistakes are far less frequent than many American authors writing British-set mysteries, but this means they stand out all the more. It’s very odd, for instance, when they always call a village street the High, (they’ve obviously visited Oxford) and a barkeep serves in the local pub. I’m always surprised the Todds don’t use a British editor or friend to check their work, when they obviously care very much about their research and authentic sense of place. They don’t quite ‘get’ the subtleties of our dreadful class-system as it was at the period. Understandably, as Americans are far too sensible to care about such rubbish! The Bess Crawford novels are narrated in first-person and in A Casualty Of War, it was noticeable that the authors sometimes forgot to write in Bess’s ‘voice,’ having her think phrases such as the British when our would be natural. At times I was aware of them explaining the British perspective of the Great War to their American audience. Despite this, A Casualty Of War is suspenseful and thought-provoking. I enjoyed it a lot and the series arc is left at an interesting place. I’ll definitely be following Bess Crawford as she adjusts to peace and am glad to read that the authors have several more novels in mind. I loved Pamela Godden’s The Corpse In The Waiting Room when it was published in 2014. Set in the aftermath of The Great War, it begins in November 1920 on the eve of the Armistice commemorations. After a timely re-read, I still think it’s a superb piece of historical crime fiction. The novel opens with the body of the Unknown Soldier en route from France aboard The Verdun and arriving at Dover. A reluctant Philip Tethering accompanies his sister Meg to watch the landing from the chalk cliffs above the port. They could see it clearly now. On the deck the crew lined the rails, and further aft there was a mound of colour which puzzled Philip at first until he realised that it must be the coffin, totally buried under its wreaths. The ship crept across the harbout and nosed in to the landing stage, and the sailors sprang into action. The strains of ‘Land of Hope and Glory’ floated up to them. Around them, the crowd watched reverently as the coffin was lifted and carried ashore. The ranks of soldiers drawn up on either side reversed arms. The music changed and at a slow march the coffin was borne along the pier to the Marine Station entrance. The last man home. When they join the crowds at Dover Harbour Station, watching to see the funeral van pass by on the train to London, Philip slips away to the waiting-room and finds the body of a woman. She’s been murdered within easy reach of hundreds of people, while all their backs were turned. It’s a very clever premise. Philip Tethering is an engaging sleuth with a very likable family. The Tetherings live comfortably at the ‘Big House’ in a village near Dover. A young officer in the recent War, Philip has almost recovered from months of physical incapacity and a degree of shell-shock. If he had had any suspicion that he would not be able to keep his wits about him and look after his sister, he would not have agreed to come at all; all the same, he was uneasily aware of all the old anxieties lurking just beyond the edge of his thoughts and ready to pounce. One of the story’s great strengths is its depiction of a society rehabilitating itself after several years of war and loss. Philip Tethering is gradually regaining his confidence and starting to think about how best to live in peacetime. The dead woman turns out to be from the village and events draw him into investigating her murder. Employed by the local gentry and dependent on their custom, the villagers are mostly deferential when questioned and ready to gossip. The characters are eminently believable and the attitudes of the time are cleverly shown. It’s easy for authors to get this wrong but Pamela Godden’s portrayal of the subtleties of class and the pecking order of an English village is authentic and beautifully written. The author clearly knows Dover and its rural surroundings intimately. There are some superb descriptions of the town and the autumn countryside slipping into winter. 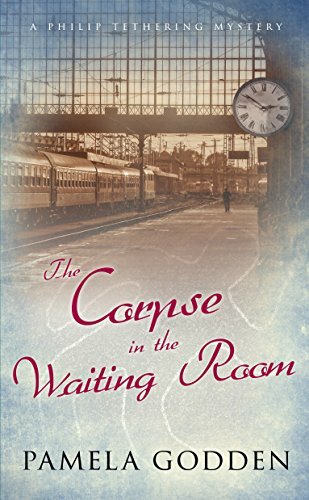 The Corpse In The Waiting Room is an intriguing mystery, gripping, elusive and fairly clued. It’s a very literary detective novel, elegantly evoking the psychology and atmosphere of a vanished time. Highly recommended – especially for fans of Kate Ellis’s A High Mortality Of Doves and Charles Todd’s Inspector Rutledge series.